NIA-CHARLESTOWN, NEVIS (December 24TH, 2010) — “This is the greatest Christmas present I’ve received in a long time,” were the words echoed last evening [Dec. 23] by two of Nevis’ popular restaurant operators Mr. Llewelyn Caines alias Sunshine and Mr. Eugene Chiverton alias Chevy. 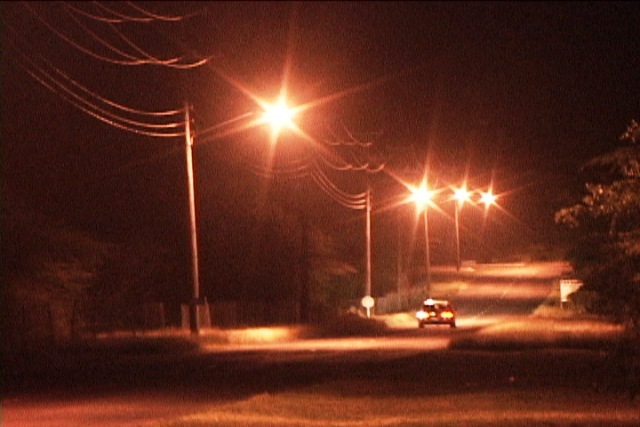 The men were at the time referring to the five lamp poles that were recently illuminated on the road stretch that leads from the island’s main road onto Pinney’s Beach where their businesses are located. Premier of Nevis and Area Representative for the St. Thomas’ Parish the Honourable Joseph Parry, his Cabinet Secretary Mr. Ashley Farrell and Advisor in the Ministry of Tourism Mr. Alastair Yearwood were on site to witness the heart-warming event that was an initiative of the NIA. 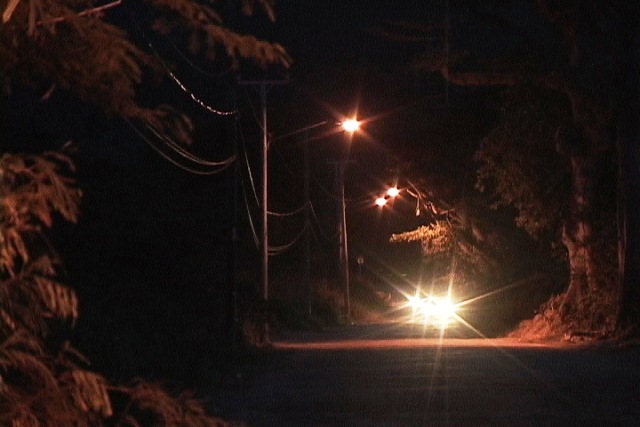 “For many years people have been asking that this road be lighted for security reasons and tonight we are here and the road has been lighted,” Mr. Farrell said as he spoke of the NIA’s decision to illuminate the area. Both men commended the NIA and its co-sponsors the Nevis Air and Sea Ports Authority and the Four Seasons Resort Nevis for the “great job” and added that the act would improve their business levels. Overwhelmed with emotion, Mr. Caines of the popular Sunshine’s Bar and Grill said his excitement was peaked by the gesture. “With the opening of the Four Seasons and now the lighting of the road, I couldn’t be happier. I just want to say thanks to the [Nevis] Island Administration for their support and Mr. Spencer Hanley and the whole team,” he said. Meanwhile, Mr. Chiverton of Chevy’s Beach Bar was almost lost for words but was somehow able to record his gratitude to the sponsors. “It’s been so nice to see the road being done. We’ve had bad roads for a while. Spencer and the island administration led by Mr. Parry have done a really really good job. “I am really happy with this as a businessman on the beach and I must say thanks to the island administration for getting the Four Seasons and getting the road done here and the lighting of this area. Thank you guys,” he said. In addition to lighting the area, the NIA improved the road condition by filling the potholes with dirt and adding lights to the Pinney’s Bypass Road that connects Pinney’s to Hamilton.